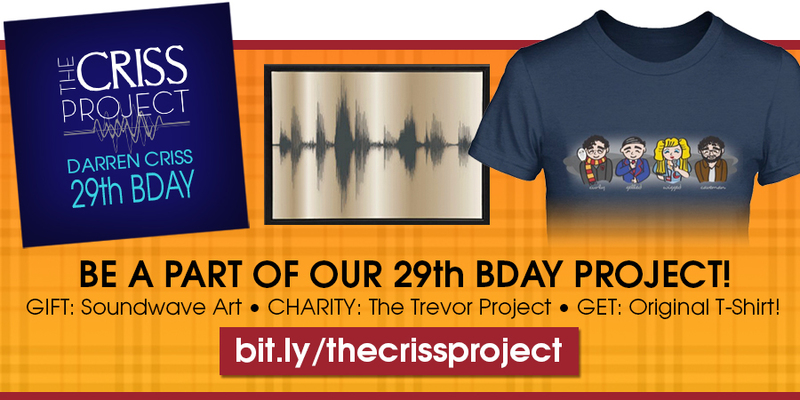 The Criss Project is once again celebrating Darren's upcoming birthday with a charity donation fundraiser! Help us support The Trevor Project with this fun t-shirt of the many hair stylings of our favorite guy. 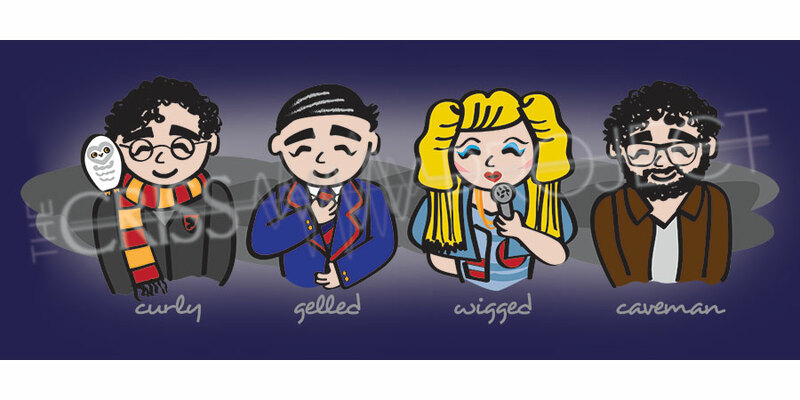 This is part 2 of The Criss Project's annual birthday gift project for Darren Criss. Don't want a tee but still want to participate? No worries, we've got you covered. Monetary-only contributions can be made here. For information on the first part of the birthday project, or details on The Criss Project, please visit our website. Also, follow us on Twitter for all the latest!